Welcome to Dennis Dillon Kia! We’re glad you found us, and look forward to the opportunity to earn your business. We invite you to search our online inventory for your next Kia. If, as you search, you can’t find what you’re looking for, we invite you to use our Vehicle Finder Service to get notified when the Kia you’d like becomes available. We know you have a lot of choices when it comes to getting a new vehicle, and we thank you again for taking the time and providing us the opportunity to earn your business. We are committed to your satisfaction. From staying in touch with the latest Kia news, to offering specials on routine maintenance – we’re here for our drivers around Nampa. We will do whatever we can to help you take advantage of special sale pricing, dealer incentives and rebates, high values for your trade, or other things in order to ensure you have the most enjoyable car-buying experience ever. 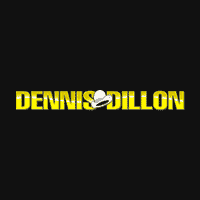 Remember, “Nobody Beats a Dennis Dillon Deal” isn’t just a motto–it’s the way we do business every day; whether that’s the sales, service or parts department! When you’ve located the car you’d like online, fill out a Test Drive form and we’ll get in touch with you to arrange a time that fits your schedule to come in and take your next Kia for a spin!